- Stand facing the dumbbells with your feet shoulder width apart. - Bend knees and hips to lower your torso in a squatting movement,keep your back straight. - At the bottom of the squat grip the dumbbells with an overhand grip,keeping your arms fully extended. 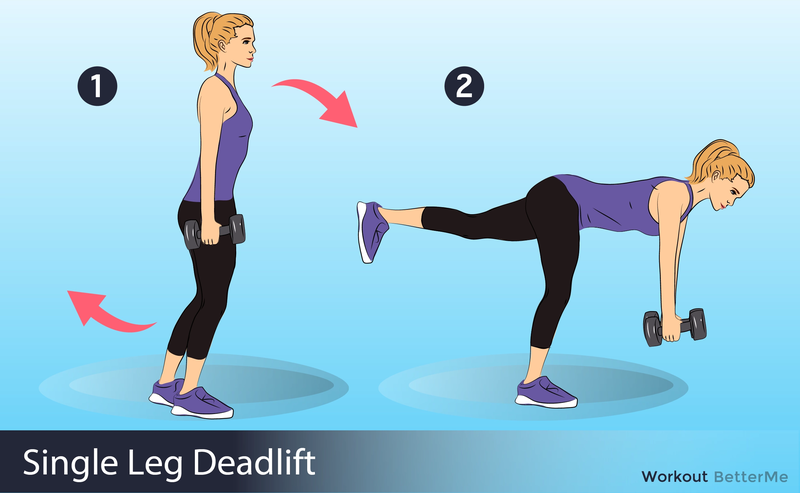 - Return the dumbbells to the floor in the same manner you picked them up. - Stand with your feet shoulder width apart while holding a light dumbbell to your chest. 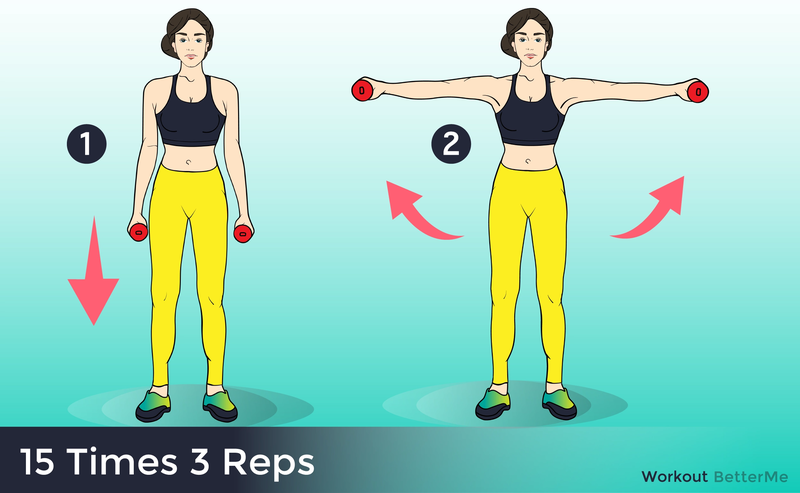 You should hold the dumbbell by one end between your hands, with the other end extending down your torso. This is the start position. 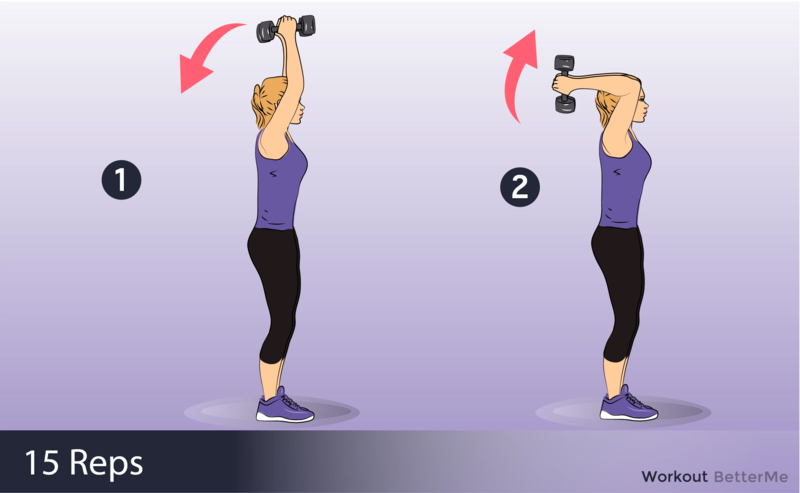 - Place two dumbbells or kettlebells on the floor about shoulder width apart. In a push up position, place your hands on the grip section of each bell for support. - Spread your legs to slightly wider than hip width apart with your toes supporting your weight. This is the start position. - Push down through one bell and at the same time “row” the opposite one upwards by retracting your shoulder and bending your elbow. - Hold for a count of one. Your breathing should remain constant throughout the movement. Lower the bell to the floor and without pause, then repeat the movement with your other arm. 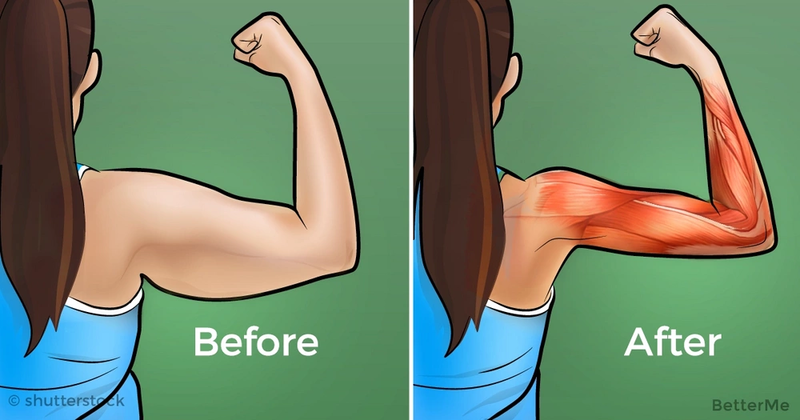 - When you have rowed both arms, that is one repetition. - Repeat for the desired number of repetitions. - Hold your arms fully extended by your side, with your palms facing in to your body. Keep your elbows close to your sides. This is the start position. 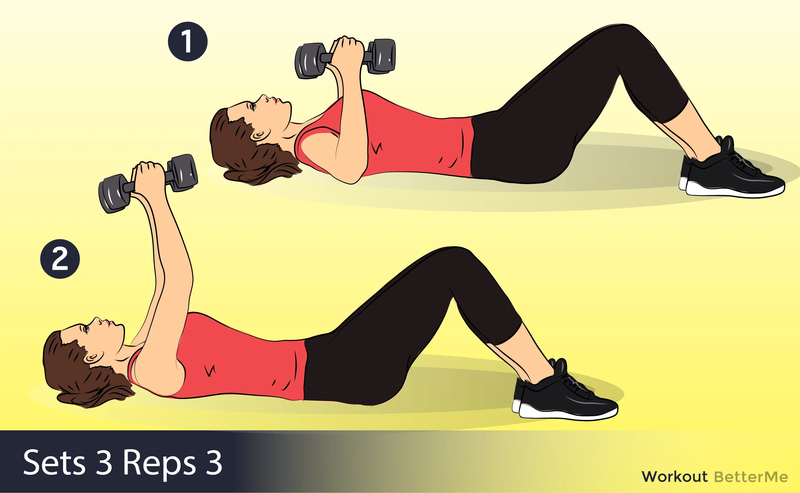 - Hold the dumbbell overhead with your arms fully extended. This is the the start position. - Stand tall with a tight core while holding a pair of dumbbells. Keeping your chest up and your gaze straight ahead, shift all of your bodyweight to your left foot. Bend the right knee, allowing the right foot to lift off the ground.